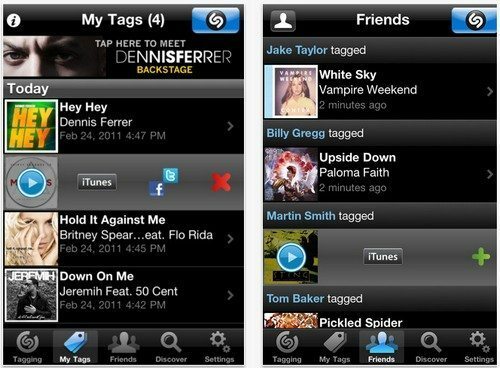 Well now it appears that Shazam have now updated their iOS app to incorporate a new feature, unlimited free tagging, which give significantly more opportunities for users worldwide to discover their favourite music, brands, and TV shows. The latest Shazam app for the iPhone and Apple iPad currently available in the United States will soon be available in the United Kingdom providing the opportunity to more deeply engage with their favourite television shows as more broadcast and cable networks offer exclusive, new content directly to the Shazam community. The CEO of Shazam, Andrew Fisher says, “Shazamers already identify over 1 billion songs each year and go on to purchase over $100 million in digital music via our service. Now, with no limits, people can Shazam even more songs they don’t know — or they already know – to conveniently purchase them, see the lyrics, watch the official music video, share on Facebook, Twitter or email, get recommendations and purchase concert tickets instantly. Unlimited free access means peoplecan use Shazam even more as part of their daily lives”. Furthermore, in celebration of updating the Shazam app for iPhone and Apple iPad, Shazam is currently running a “special Golden Tag” promo for Shazam users in the united Kingdom whereby simply tagging a track between now and the 15th of November could net them a Â£15,000 prize, just hit HERE to find out how. For those that currently do not have the Shazam app for the iPhone or Apple iPad the apps are available to download from iTunes for free.